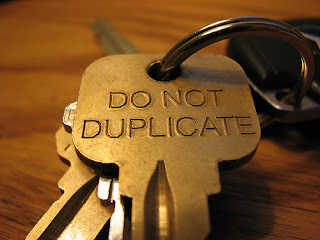 How To Check For Duplicate Content Copied From Your Site? As a blogger or content creator, or even a SEO, you always run the risk of getting your online content ripped off and copied. It's a risk because even though search engines might be getting smarter at detecting the original source of some duplicate content, it isn't always easy. And there's no guarantee that the original source will be determined every time, and the duplicated content penalized. Not only do you end up competing against your 'own content' so to speak, search engines also try to eliminate duplicate copies of some content, which could result in your content's elimination altogether. Here are a few ways you can check for multiple copies of your content elsewhere on the internet. There are many ways to find duplicate content. But doing so isn't as easy as it might seem. For one, there's the sheer number of websites that might be copying your content, and for another, search queries are often limited to a certain number of words, with the less significant prepositions like "in" "or" "and" etc not counted. So simply copying a piece of your content and pasting it as a Google Search query won't always do the trick. Here's what you can do. Many beginners don't know this, but if you enclose a search query in Google Search with quotation marks, Google will specifically search for that whole string. Ordinarily, it only searches for keywords. For example, if I search for find duplicate content on Google, it will show me most relevant results that have all three keywords, or a combination of them in any order or any number of them. However, if I search for "find duplicate content", it will search for results that have the exact string "find duplicate content" in them. Using this technique, you can copy some text from your content, and paste it in Google Search (enclosed with quotation marks). This way, you can find exactly matching content. Doing the same thing without the quotation marks won't be any good, because Google will only search for any combination of the words in the search string. If someone is blatantly copying your content, then chances are that they might have copied the title tag as it is. You can search Google specifically for titles by using the intitle search operator. For example, if I were to search for duplicate content of this very post, I'd use the following Google Search query. intitle:"How To Check For Duplicate Content Copied From Your Site?" Now in all fairness, some webpages might coincidentally have the same title as yours with different content. But if there are any rogues out there copying your exact content, this is where you'll find them. Sometimes, when Google indexes pages that it detects contain duplicate content, it notifies the original author about them. But you can only avail this feature if you have a verified Google Webmaster Tools account. Once verified, you will start receiving messages for critical issues, such as problems found with your site, or duplicate content discovered elsewhere on the internet. In theory, this is very good. but in practice, Google isn't the best for this job. It might take some time for Google to discover duplicate content, and it won't always send you a message. But for starters, it might be a useful features. Just don't put much stock into it. This is a sure way to catch bots, because content copied automatically will mostly also include similar or same URL structure. People might sometimes change the title of a post after a bot has copied it from somewhere, just to throw the original content creator off-trail. But they won't always change the URL, which makes them easy prey! Brillint Qasim bro....since from 5 months i am using the same technique. Thanks for sharing this post. But Qasim bro i have one question. ? Sometime copycats copy our oldest posts then how to find that....because most of the time we check only the latest posts by using the above technique....SO is there any online tools which could inform us that someone has copied your abc posts. If there is any possible solution then kindly share your views..best of luck....thumbing to MBT. Yes there is Hafeez bro ! very good info Qasim bro. Good information and well explained post. But is it possible to check every post individually? Isn't there auto process? Super trick bro..I think it should follow by all legit blogger. Dear MBT. Blogger has changed its default CSS codes automatically on Sep 9th. All Widths, Padding, etc have changed automatically for Custom Templates. Even some widgets on MBTs have gone beyond its border. Show a solution Bro..
Great Post. I also didn't know the method of using quotation marks in Google Search. After a long time I'm visiting MBT . You guys always provided the best blogging tricks for all the platforms. I will search how else copied my posts! very good info, keep it up and aware the new blogger abt this. Good information for check to duplicate content. i will check content what is same content meaning i check with your way.